Smartphones have complicated the work of classroom educators. The result: Some schools have changed their policies, fueling a debate about whether access to such devices should be controlled in class. One veteran educator says the science is clear. WASHINGTON — Ever since smartphones became so ubiquitous in everyday life, the tempting distractions have complicated teachers’ work. The result: Some high schools and middle schools have changed their policies when it comes to student phones, fueling a debate about whether access to such devices should be controlled in the classroom. 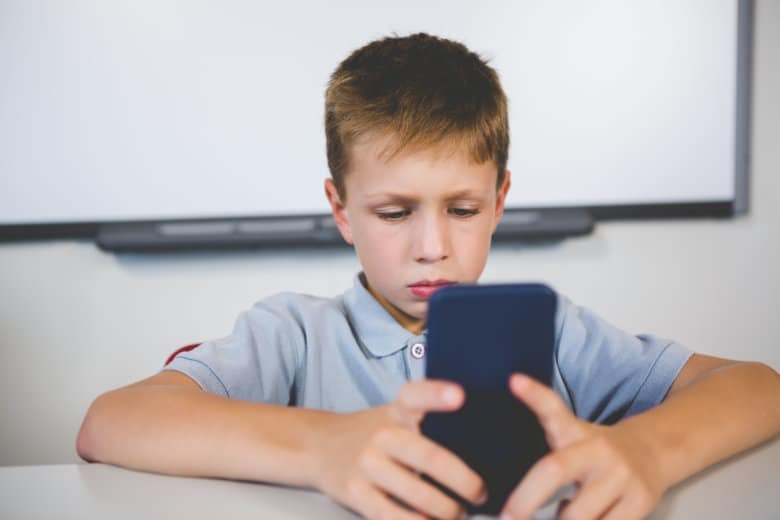 As one might expect, recent studies show that a phone-free environment can benefit performance, said Ann Dolin, president of Educational Connections tutoring. One study from the London School of Economics, she said, found that in schools with a cellphone ban, students earned overall higher exam scores. “And it was the low-performing kids that have the greatest increase,” Dolin told WTOP’s Shawn Anderson and Dimitri Sotis. Another study in the Journal of Communication Education, she said, found that kids who didn’t have access to phones during note taking wrote down 62 percent more information. Some parents, though, want that ability to be in constant contact with their children in this era of school shootings. “I asked the parent of a high schooler yesterday about a ban and she said: ‘Oh my gosh. No way. I need to be in touch with my daughter at all times for safety reasons,'” Dolin recounted. Still, other parents see value in a ban: One told her, “I worry that if he can’t stay focused long enough in high school, he won’t have the tools to do it in college,” Dolin said. Whether or not a student is subject to a ban varies from district to district and from classroom to classroom, Dolin said. In Fairfax County, for instance, smartphones and other devices are allowed, while in one District classroom, they aren’t. It bears out what researchers have been finding, she said.